Spring is in the air and our highly developed sense of smell is embracing the various aromas of the most alluring season. The intrinsic connection between scent and brain allow us to evoke emotions, change our mood and awake subconscious memories. Pleasant smells activate certain brain cells which send a positive response through our nervous system. On the other hand, unpleasant ones, cause feelings of stress and anger. Studies show that people living in slums, enveloped by filth and decay, lose their sense of smell and taste due to the overpowering surroundings. How lucky are we? This is the season of fragrance, let’s celebrate with the latest in perfume, scented oils, candles and aromatic skincare. Noble VII Cosmos Flower from Clive Christian, L’Ombre dans l’Eau de Parfum from Diptyque and Cashmere Aqua from Donna Karan. Since its birth, perfume has become a symbol of power only accessible to the royals and the upper class. The rich concentrated liquid gold was synonym of wealth, class, hierarchy and made those who possessed it highly desirable. It’s believed that perfume played an essential role in politics at courts and lords manipulated meetings by bringing seductive smelling wives, daughters, and courtesans into the halls. To this day, passion and seduction are at the root of perfume, and makers like Clive Christian know it. He designed an empire of fragrances inspired by British royalty and Noble VII Cosmos Flower is one his latest. Infused with bittersweet cocoa, jasmine and plum, this scent is sophistication in a bottle. 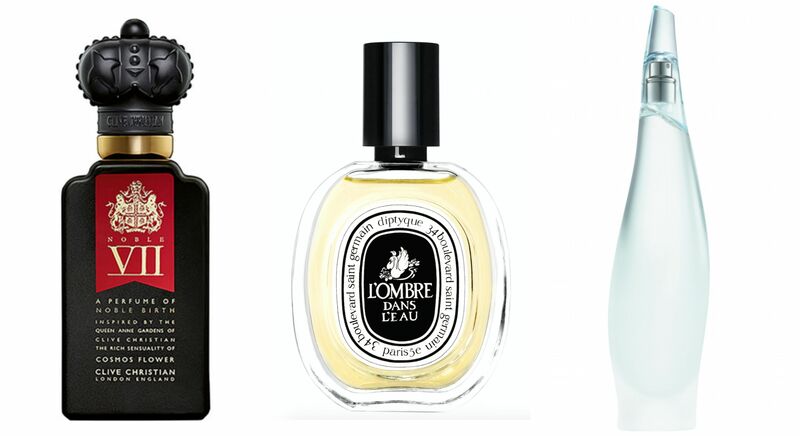 Another masterful scent directly from the French court is L’Ombre dans I’Eau de Parfum from Diptyque. The delicate blackcurrant leaves and Bulgarian rose notes present in this perfume dress your senses with pure elegance. Donna Karan’s Cashmere Aqua is a light, fresh scent perfect for women in love with a rich, but delicate aromas. 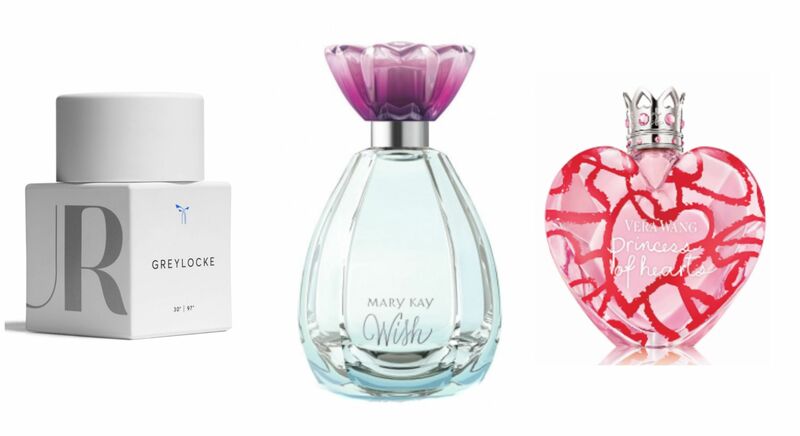 Greylocke from Phlur, Enchanted Wish from Mary Kay and Princess of Hearts from Vera Wang. The scent inspired by America’s royal family, The Kennedys, is Greylocke from Phlur which mixes, sea salt, bergamot, birch leaf, silver Vetiver and pine resin to create one of their signature fragrances. Mary Kay’s Spring fragrance Enchanted Wish infuses granny Smith apple, orange oil, stargazer lily, peony, brown sugar, warm amber, and illuminating musk to create this delightful new scent. Vera Wang’s Princess of Hearts is as whimsical as its name and incorporates notes of wild strawberry, creamy musk, watermelon, lily, bergamot and cedarwood. 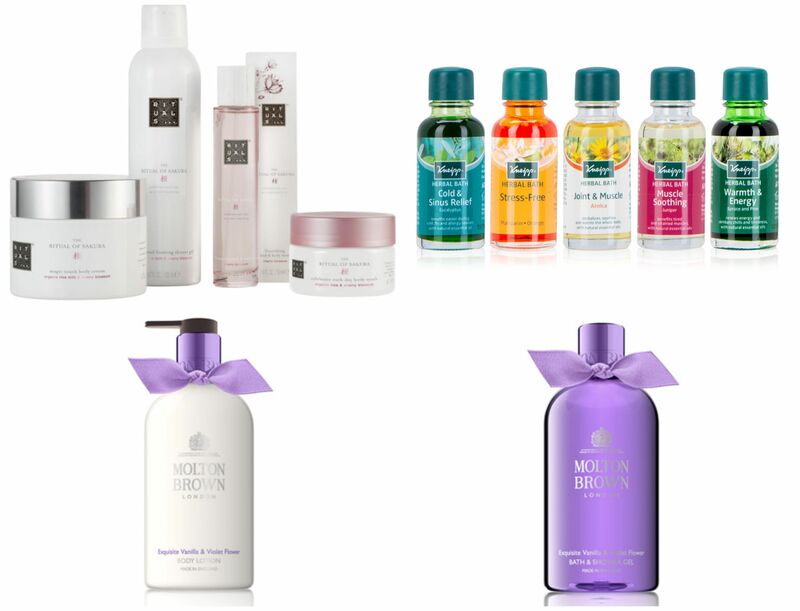 The Ritual of Sakura from Rituals, Herbal Bath Oils from Kneipp and Exquisite Vanilla & Violet Flower Bath Shower Gel and Body Lotion from Molton Brown. As we dive into a more holistic lifestyle, more people are leaving behind chemically infused products and are embracing a more natural approach. Brands are relying on mother nature to enhance their formulas and instead of using scientifically developed scents, they are incorporating the whole plant. The results are wholesome products with active ingredients that have an effect on our skin and emotions. Healing through scent is no longer something exclusive of the very few living an organic lifestyle, but fortunately for all. The Ritual of Sakura from Rituals applies the refreshing and nourishing benefits of Asian rice milk and cherry blossoms on your skin. Kneipp is a mostly vegan German brand that infuses only natural ingredients in their products. Their Herbal Bath Oils were created to calm your nerves, relax your muscles, open your sinus and relieve tension with one bath at a time. Molton Brown just released their The Patisserie Parlour Collection where the Exquisite Vanilla & Violet Flower Bath Shower Gel & Body Lotion blends violet flower, freesia and vanilla extract to create this deeply moisturizing formula. Pomegranate Noir Scent Surround Diffuser from Jo Malone, The Hourglass Diffuser from Diptyque, and Carthusia Mediterraneo Home Diffuser from Bigelow Chemists. 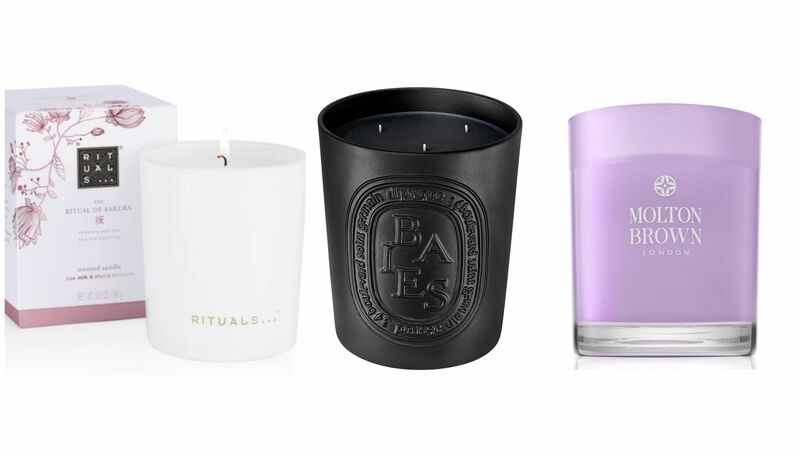 The Ritual of Sakura Scented Candle from Rituals, Baies 3 Wick Candle from Diptyque, Exquisite Vanilla & Violet Flower Scented Candle from Molton Brown. 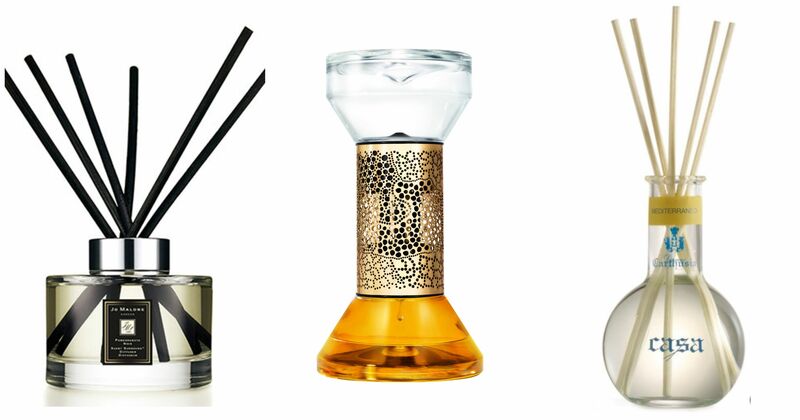 The sensual experience is not complete without reaching the home where scented candles and diffusers are the masters. The Hourglass Diffuser or Le Sablier from Diptique applies the latest technology of cold diffusion in which the scented oils are not heated, but kept at the right temperature to trigger evaporation and fragrance release. This beauty will be available in May, just in time for Mother’s Day. Another contender is Carthusia Mediterraneo Home Diffuser from Bigelow Chemists, which fills your home with rich Mediterranean floral and citrus scents. If you’re a candle lover, you can also enjoy the stunning aroma of The Ritual of Sakura and the Exquisite Vanilla & Violet Flower Scented Candle from Molton Brown. To top it all, the sophisticated black Baies 3 Wick Candle from Diptyque will make difficult leaving your sweet scented chambers.